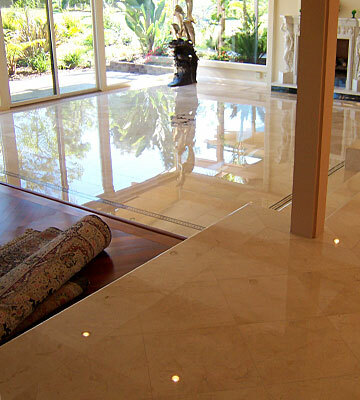 Floormaster is a full-scale restoration and maintenance company with expertise ranging from the mainstays of restoration (grinding, honing, re-polishing, epoxy repairs, slurry coating, stripping, waxing, steam cleaning, pressure washing, machine cleaning and sealing) to the unique and eclectic finishes found in many of the custom homes of today (distressing, antiquing, oil & carnauba wax finishes, acid staining, acetone staining, water based staining & glazing, epoxy coating, metallic epoxies & customized color schemes.) 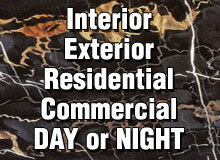 We offer custom finishes to suit any motif or particular décor. We will provide you with a variety of options and, when needed, solutions to suit your specific needs. Moreover, we are dedicated to providing the highest level of artistry and craftsmanship to every project. Floormaster is owner-operated. We personally oversee every project with quality control standards that offers a personalized service experience for each client. We have completed projects for some of San Diego’s top firms, and are accustomed to catering to the highest caliber of clientele. We possess the skill and understanding to troubleshoot any situation.